As a parent it can sometimes be difficult to get the kids to want to spend time outdoors, especially if they’re tired, or the weather isn’t so great. I know that if we suggest a dog walk around the park, it’s not as appealing as a dog walk at the beach. Spending time outdoors with kids is important for all the family. Not only does it remove everyone from their screens, it’s also a great way to interact with each other and spend time enjoying something different. Fresh air is good for the mind and the soul no matter how old you are, and that’s why as a family we will always make the effort to get out and about as a family. 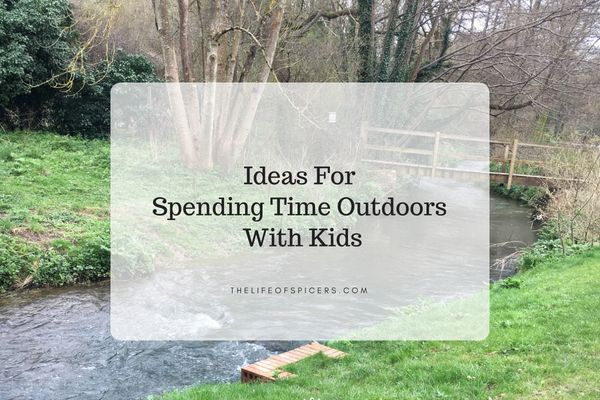 If you’re stuck for ideas for spending time outdoor with kids then I have the following suggestions. It doesn’t matter what the weather is when you visit the beach. Some of our favourites at the moment are Kimmeridge Bay and Durdle Door. 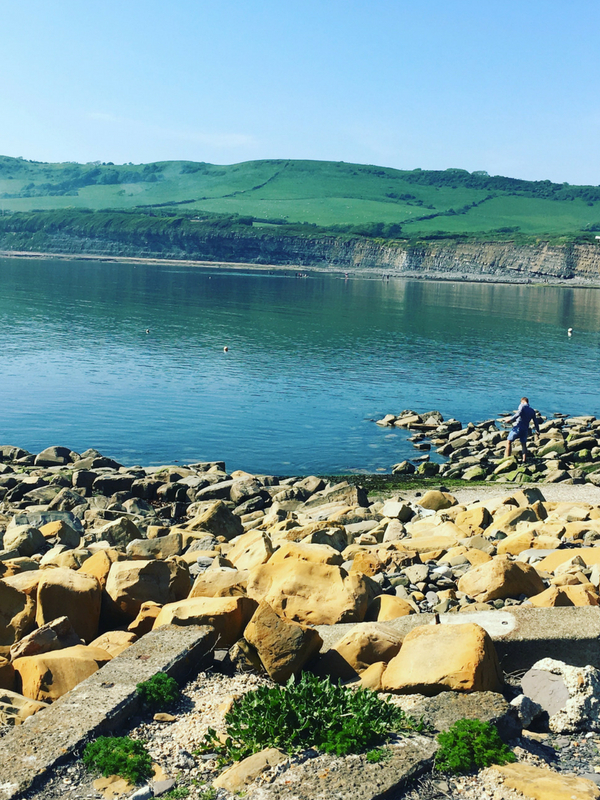 They each have their own appeal, such as rock pooling at Kimmeridge and Durdle Door is nice and secluded meaning it’s a quiet place to visit whatever the weather. We have some great forests near us, and I’ll bet wherever you live there is a forest near you. Exploring a forest is a great way to get involved in nature, spotting wildlife, playing pooh sticks in the stream and finding different coloured leaves according to the seasons. If you prefer something a little more structured, then a Forest Discovery Day is a good idea. It’s a chance to get involved in hands on activities such as den building, toasting marshmallows on the fire and playing with mud. Sounds perfect doesn’t it. What is it about water that kids love? On a warm day, if we make plans to visit somewhere with a stream, then everyone is happy for hours. A little bit of water keeps the kids and the dog happy. Such a simple idea, and we never hear cries of I’m bored. We struggled to get Abby to learn to ride her bike when she was small, but when she mastered it there was no stopping her. When we make plans to spend some time outdoors, we always consider whether we can take the bikes with us, or travel to our destination on our bikes. There is so much of the UK that is accessible by bike and it’s such great exercise as well. Geocaching is an activity that we haven’t really utilised but it’s a great way to get reluctant adventurers enjoying the outdoors. Giving kids a goal often works wonders to spark some excitement. Especially if they’re searching for some treasure inside those caches. We all love the trusty play park to get the kids enjoying the outdoors a bit more. We have a park very close to our house and it’s been a godsend over the years. Sometimes you may only visit for half an hour, but that half an hour is enough to turn a day around if the kids are getting bored. What other ideas do you have for spending time outdoors with the kids?